Puccini, Mascagni, Leoncavallo, Verdi, Donizetti, Bellini, Rossini—fewer countries have given more to the great opera tradition than Italy. The art itself was born in the Baroque courts of the Bel Paese, spreading later across the rest of Europe. And even though many foreign composers, from Gluck and Mozart to Wagner and Bizet, later helped shape opera during the course of the centuries, it was Italy that gave it its greatest works in the golden age of the 19th century. More than history and heritage, however, what makes opera really come alive in Italy is that it is not just the preserve of a rarefied elite. People from all walks of life have a genuine passion for it, and the art thrives today as much as it did in Verdi's times. Every autumn, opera houses across the country present mouthwatering cartelloni (programmes) with plenty of classics by Puccini, Verdi, Rossini and Donizetti, as well as lesser known works—and the upcoming season looks set to be a particularly interesting one. 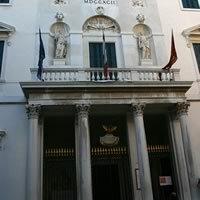 There are plenty of new productions, such as the Don Carlo at the Scala, and La Fenice's new Maria Stuarda; and many returns of established ones, such as Zeffirelli's Aida, which is back at La Scala, or the Arena di Verona’s Tosca, which will be staged at Trieste's Teatro Verdi. My personal preference, I have to admit, goes towards these old favourites, the grand operas with their heart-melting arias and the atmospheric staging that go with them. 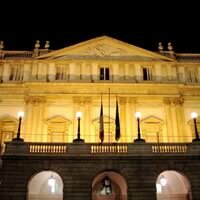 The only drawback is that it is extremely hard to get seats for these popular performances, both at the country's grandest houses and at the plethora of many good, smaller ones (Trieste's Teatro Verdi, Parma's Teatro Regio and Genova's Teatro Carlo Felice among others). The safest way to secure a place is to book it well in advance. Which is why I have selected three of the best operas that will be featured during the 2008-2009 season. If you are after a ticket for one of them, move early—on the very first on sale date is best. Aida returns to La Scala in what is possibly the very best production ever—the one with Franco Zeffirelli's grandiose staging and sets. When it was first presented in 2006, it sold out in two hours and was hailed as the Aida of the Aidas. There is no reason to think this year's version, conducted by Daniel Baremboim, will be any less opulent. A 300-strong cast, some 400 costumes and 200 kilos of gold dust will once again be the backdrop for the story of the Ethiopian princess turned slave and the Egyptian commander that falls in love with her, torn between his heart and his loyalties. Like two years ago, Violeta Urmana is Aida (with Norma Fantini sharing the role). Walter Fraccaro and Salvatore Licitra will be Radames. This is a great opportunity to enjoy a splendid production if you missed it in 2006. However, there will be only seven performances of Aida (on 20, 22, 25 and 27 June and 4, 6 and 8 July) so be quick: tickets will go on sale from 24 April 2009 at 9am. Madama Butterfly, in the exquisite Scala production directed by Keita Asari, lands in Venice from May 22. Together with Ichiro Takada (scenes) and Hanae Mori (costumes), Asari infused this version of Puccini's tragic story—the suicide of Cio Cio San once she discovers the betrayal of her faithless American husband Pinkerton—with a particularly Oriental flavour that charmed the Milanese audiences years ago. The Venice edition, conducted by Eliahu Inbal, looks set to be just as intriguing. It will be sung by Micaela Carosi, Massimiliano Pisapia e Gabriele Viviani. Dates are quite close to one another: the prima on 22 May 2009 will be followed by another seven performances on 23, 24, 26, 27, 29, 30 and 31 May. Contact the theatre (www.teatrolafenice.it, +39 041 2424) for tickets' on sale dates. Also at La Fenice: La Traviata, directed by Robert Carsen and conducted by Myung-Whun Chung, is on 6, 8, 9, 10, 11, 12, 13, 15, 16, 17, 18 and 19 September. It is hard to pick a favourite among the Teatro dell'Opera di Roma's enticing 2009 calendar, which starts with an emotional Aida in January and ends with a grandiose Traviata the following December. There are plenty of good operas (Pagliacci, Carmen, Iphigénie en Aulide) and great directors and conductors (Bob Wilson, Riccardo Muti, and Robert Carsen among others). 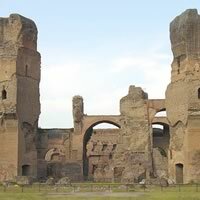 But the Tosca scheduled for next summer has something special: it takes place against the monumental Terme di Caracalla, the one gift that the wicked Emperor Caracalla—the "enemy of all mankind" in the words of historian Edward Gibbon—granted his city in 216 AD. This Tosca's cast has comparatively fewer glittering 'names' than other operas scheduled by the Roman house for the upcoming season, but the chance to listen to the yearning E Lucevan le Stelle as the stars shine over the Baths' golden ruins makes it an unmissable experience. Next summer's Tosca is a new production of what is a classic for the Teatro dell'Opera di Roma—Puccini's work made its first debut in Rome in 1900, and later opened the very first season of the Terme di Caracalla. Franco Ripa di Meana directs it, and it will be interesting to see how his version differs from Zeffirelli's very traditional one, which opened the opera house's last season to a mixed success. Paolo Olmi will conduct and Micaela Carosi, Fabio Armiliato e Giorgio Surian will be Tosca, Cavaradossi and Scarpia respectively. Contact the theatre (www.operaroma.it, +39 06 48160255) for tickets' on sale dates. Also in Rome: Bob Wilson's interpretation of the Aida, conducted by Daniel Oren, will open the season on 20 January 2009, with performances on 21, 22, 23, 24, 25, 27, 28, 29 and 30 January. Zeffirelli's Pagliacci, conducted by Gianluigi Gelmetti, will be on 20, 21, 22, 23, 24, 26 and 27 May, and Karel Mark Chichon's Carmen will be at the Terme di Caracalla on 29 and 31 July, and 1, 2, 5, 7, 8 and 9 August.